The Mother’s Promise is a moving and powerful novel about love, courage and forgiveness. Single mother Alice and her daughter Zoe, who suffers with social anxiety, are a close unit with no other family support. Zoe is able to function in the world thanks to Alice’s fierce protection and support. When Alice is diagnosed with a serious illness, their ordered world is thrown into chaos. With the identity of Zoe’s father a mystery, and an unreliable, alcoholic brother, Alice is forced to turn to strangers, her chemotherapy nurse and social worker, for support. As the four women navigate Alice’s illness and Zoe’s predicament, each of them is forced to face their fears and secrets. There’s conflict, revelations and heartbreak aplenty, with a few laughs and surprising moments too. 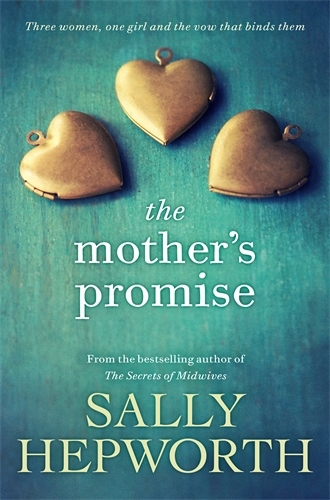 The Mother’s Promise will break your heart, yet leave you filled with hope and faith in the human spirit. It’s the first Sally Hepworth book I’ve read, but it won’t be the last.